"The Ramsey's home, which had a red brick Tudor facade, contained 6,866 square feet of living space, and nearly filled a half-acre lot. There was no fence surrounding the property. The front of the house was built in 1927, and the rear was added later and had been remodeled several times over the years. A back elevator had been replaced with a spiral staircase when the Ramseys renovated the house in 1992. The floor plan was a maze, and the decorating was unusual; flowered carpets, thick white moldings, vivid colors." "The third-floor master bedroom had a cathedral ceiling and a view of the Flatirons. A framed print of red flowers hung over the fireplace. The king-size bed had a 4-foot-high hand-carved headboard. A rider workout machine sat beside an exercise bicycle. A corner desk held a computer. Displayed on the floor and shelves were twenty-three of JonBenet's pageant trophies. In a children's play area stood a 5-foot-tall pageant trophy next to one that measured 8-feet-1." 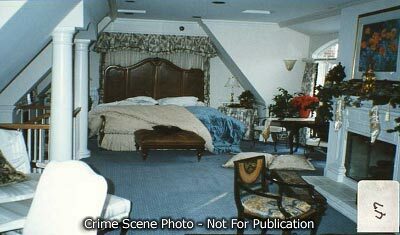 "JonBenet's second-floor bedroom, with a porch overlooking the south yard and patio, was closet to the spiral staircase. The room had a hand-painted hat motif, and the nursery rhyme, 'hey, Diddle, Diddle' was painted on a carved corner cabinet. The police had removed a small piece of carpet in front of the night table between the matching English burl walnut single beds. To the left of the bed the police had removed two additional pieces of carpet. 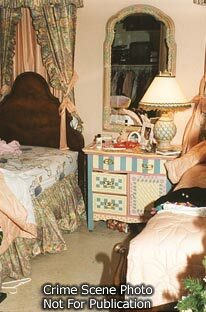 At the foot of JonBenet's bed there was a hand-painted locker that matched the fabrics in the room. 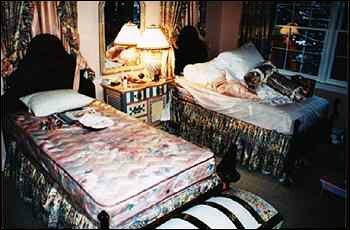 All of JonBenet's sheets, pillowcases, and bedcovers were taken into custody by the police. Fingerprint powder was everywhere except on the painted hooks of a trompe l'oeil hat rack stenciled on the closet doors." 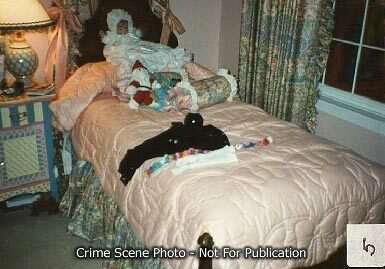 "JonBenet's closet was stuffed with clothes. A small TV set with a built-in VCR sat on a shelf inside her closet. Other shelves had dozens of cartoon and Shirley Temple videos. To the right of the closet stood a pageant trophy as tall as the light switch. Another tropny was even taller. There was a floor-to-ceiling Christmas tree in the room too. In her bathroom hung an original pastel, called 'Tea for Two' by a Boulder artist." 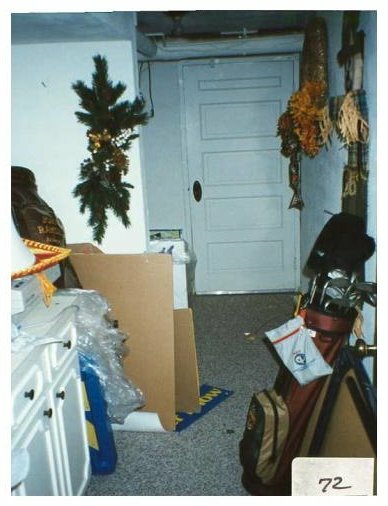 Pam Paugh: "But I know that on the 28th when I had to enter the home to get some personal belongings, some clothing, and obviously, some things appropriate for JonBenet's burial, I knew then that the police had made up their mind that Patsy and John had done this hideous thing." Larry King: You must have been totally shocked, then? Pam Paugh: Well, of course I was. Larry King: Did you speak to any police officer? Did you say to anyone, you people are nuts? Pam Paugh: Of course I did. Larry King: And what did they say? Pam Paugh: Not much. They just kept asking me a bunch of questions while I was in the home. 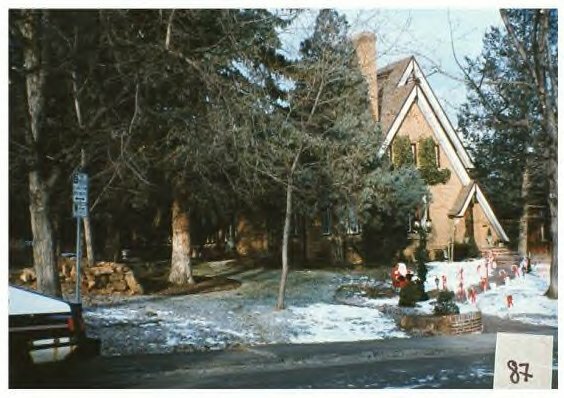 "The day before, one of Patsy Ramsey's sisters had gone into the house with police permission and taken out an oil printing, several American Girl dolls, a portfilio of JonBenet's pageant photographs, a pageant medal with a blue ribbon, graduation photos of the older children, and a Bible from John Ramsey's desk, but she had missed JonBenet's stuffed cat, which Patsy had wanted retrieved." 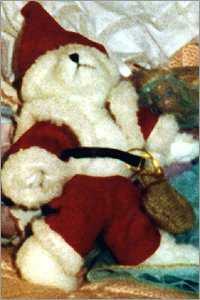 Question from KathyK: "I also would like to know anything she can tell us about the Santa Bear. Does she definately remember seeing the bear when she went to get stuff from the house, or does she just sort of think she remembers seeing it. Did the cops ever take it into evidence? Is it really missing? - how hard did the Ramseys look for it - could it just be in boxes that were packed up. Do they have the other things that were in the cops picture - like that fancy barbie doll?" 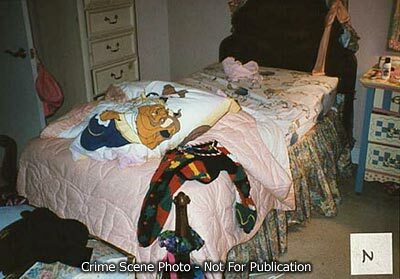 Pam Paugh: "I do remember seeing the Bear on the secondary bed in JonBenet's room on 12/28/96. I do not know where the Bear is now. I am told that the BPD have confirmed the source of the sales point for that model Bear. I wonder if they have subpoenaed sales/shipping records and done a "search of transfer"
"That evening John went to Crist Mortuary to discuss funeral arrangements. In addition to the usual rites, transportation was needed for burial to Atlanta. Patsy awoke while he was gone and staggered from the bedroom to a couch, bearely able to speak, and told her sisters she needed some things from Fifteen Street. John was overhead to ask somebody quietly, "Did you get my golf bag?" When I learned of that statement, it seemed totally out of order. There had been two golf bags in the house, but he had not specified which one he wanted. Neither bag was collected by police." "They carried along Sister Socks, a gray-and-white stuffed animal that had been left behind during Pam Paugh's sweep through the house. Sister Socks was retrieved for them by Detective Arndt." 08-29-2002 Anonymous E-mail to ACandyRose from a former employee of the Pleasant Company, makers of the American Doll. "The dolls heads are attached with a string that gets in the way when the clothes are changed or the hair is brushed. I was trained to tell parents to use a peice of duct tape to tack it down. If you do that and pull it off the stuffing comes out on the tape. They have a huggable body and vinyl limbs and arms attached with bungie cords. One doll in particualar comes dressed in navy wool shedding fibers. If I just touch the outfit with a damp finger it beomes coated. JonBenet's being wet would have just leached the fibers right off. I thought this way to much of a coincidence after I read Pam took the dolls out."